Well, does Wargaming know their math? Edited by _iggy_meister_, 15 April 2018 - 11:48 AM. 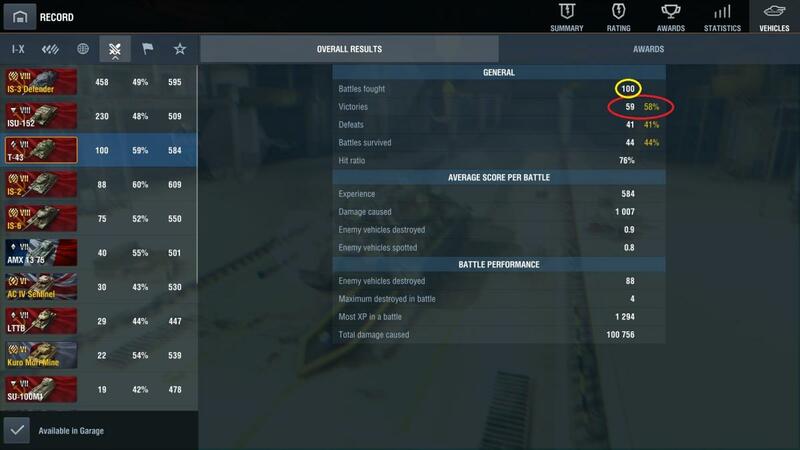 Firstly, how the HELL did you get all of those tier 7 tanks in just 100 battles. As for the calculator, it always seems to leave out 1% of your victories maybe because they try to count draws as well. I had the same problem when I still had 0 draws. I guess it's just how the system works. Oh, I see. My mistake.